Routine maintenance is vital for keeping your vehicle in top shape and for preventing serious issues later. If you live in the Apple Valley, California area, Road Runner Auto Care has all the right people, equipment, and know-how to keep you going. When you make an appointment with Apple Valley professionals for routine maintenance, all the necessary components will be checked for wear so they can be replaced before a breakdown occurs. Things that must be changed according to a schedule will be taken care of also. There are a number of items that fall into this category. Regular oil changes are one of them. Your friends at Road Runner Auto Care will make sure the right oil for your vehicle and high-quality filter are used. Other fluid levels will be checked and topped off as necessary. In addition to the oil filter, air and fuel filters should be changed as part of routine maintenance as well. Drive belts should be checked during routine maintenance. Belts that are developing cracks or are showing other signs of wear should be replaced before they break. A broken belt can leave you stranded. Belts drive the alternator, water pump, air conditioner and power steering. Without a properly functioning alternator or water pump, you won’t go very far. Don’t let a worn belt ruin your day. To keep your engine running smoothly, a tune up is necessary at frequencies recommended by the manufacturer. Things like spark plugs and new plug wires are both part of regular routine maintenance. This not only keeps the engine performing as it should, but it will make sure fuel mileage does not suffer either. This makes it worthwhile for Apple Valley residents to take their vehicles to Road Runner Auto Care. While routine maintenance is important to make your car go, it is important in making sure it stops as it should too. The technicians at Road Runner Auto Care will check your brakes and let you know how close you are to needing new pads. Any repairs that need to be done immediately can also be completed. Parts that are connected to the suspension can be critical when it comes to vehicle safety. Worn tie rod ends can affect the steering. Things like ball joints and wheel bearings should be inspected at regular frequencies and replaced if they show signs of wear. 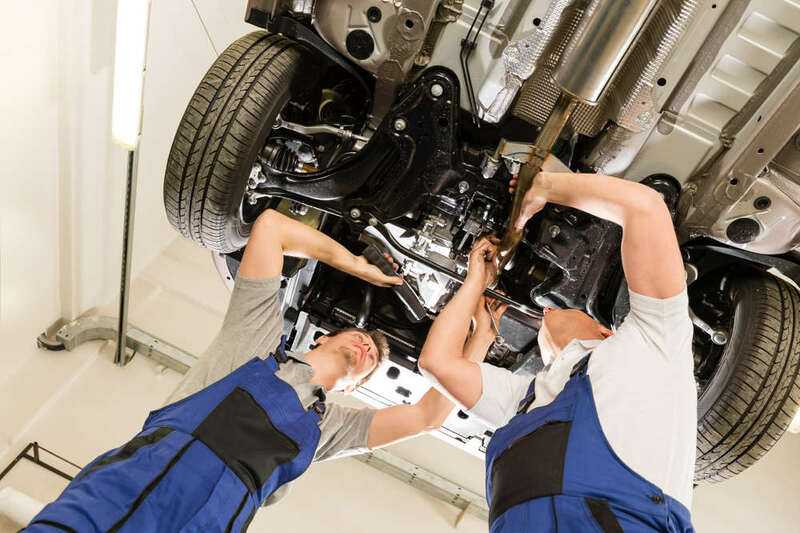 By letting Road Runner Auto Care take care of routine maintenance, Apple Valley residents can have the peace of mind that their vehicles are running like a well-oiled machine.